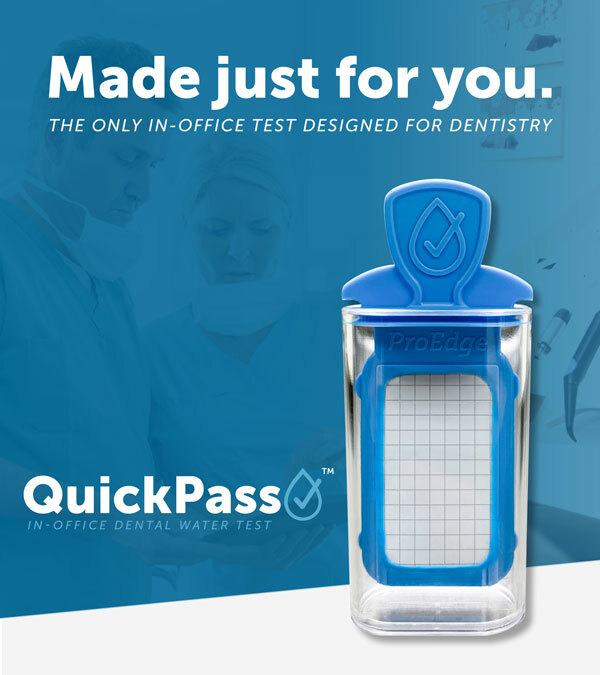 The QuickPass In-Office Water Test is a heterotrophic plate count water test to help you measure compliance with the CDC standard for safe water (≤ 500 CFU/mL). Quick-growing media for 48-72 hour results in your office. Germicidal neutralization formula within the paddle to ensure the most reliable waterline quality results. Advanced technology improves the visibility of bacteria for easier counting. Free consultation with water safety team included to help your practice improve results and implement best practices.